Tinker Tailor, Soldier Spy didn’t make much of an impression on me at the cinema. Watching Tomas Alfredson’s film on DVD proved to be a much more rewarding experience. The attention to detail is astonishing. Not just in terms of set design (loved the Wimpy bar) but also in terms of how subtle Alfredson’s approach to the material is. There are little touches that passed me by first time around, such as seeing a Hungarian police officer carrying a baby in the background of a scene. Earlier we saw the child’s mother get caught in the crossfire as Jim Prideux’s (Mark Strong) operation went badly wrong. I misjudged the film thinking it cold and indifferent. There is plenty of humanity here, it’s just everybody keeps their feelings hidden. Letting your guard down in this world can prove costly as Ricky Tarr (Tom Hardy) finds out when he inadvertently blows his cover and puts the woman he loves in danger not to mention his own colleagues. Le Carre experienced the paranoia of the post-Kim Philby era first hand and Alfredson captures this unease perfectly. Often he places the camera up high or at unusual angles so it seems like the viewer is also complicit, another pair of eyes watching as these people scheme and machinate. 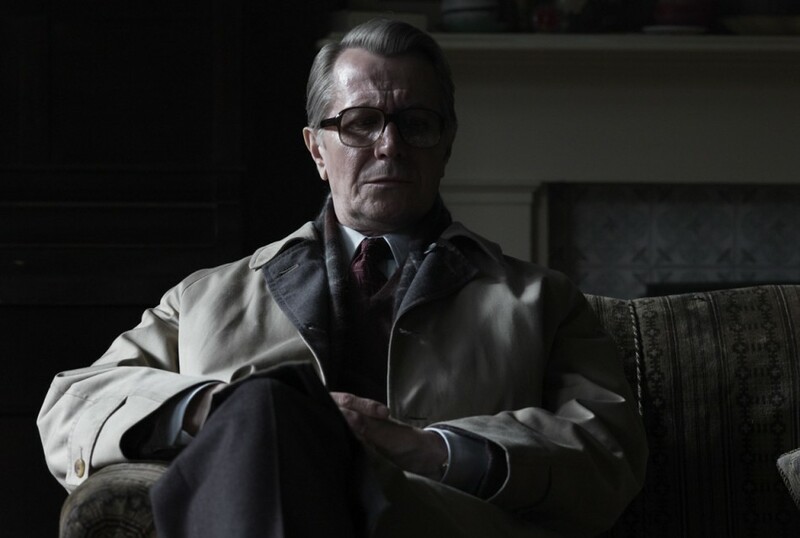 George Smiley (Gary Oldman) too is an observer, rarely speaking, taking everything in. It’s a great performance by Oldman, easily his best since the 1980’s when he did his most exciting work in films like Sid and Nancy (1986, Alex Cox) and The Firm (1987, Alan Clarke). I’ve watched the film twice since getting the DVD and it gets better each time. There is a fantastic interview with John le Carre in which he discusses his novel, his own time in the Intelligence service, the differences between Gary Oldman and the TV version’s leading man Alec Guinness. The only other extras are deleted scenes and a laid back commentary from Alfredson and Oldman. With its retro vibe and synthesiser-heavy soundtrack Drive is a throwback to 80’s action thrillers like Thief (Michael Mann 1981), and To Live and Die in LA (William Freidkin 1985). Taciturn loner (Gosling) comes to the aid of his pretty neighbour (Carey Mulligan) when Mobsters force her ex-con husband to take part in a heist. Refn mixes restraint in the emotional scenes with over the top violence as heads are destroyed and arteries are opened. The Driver lives the customary solitary existence expected of existential loner types in the movies ever since Alain Delon starred in Jean-Pierre Melville’s Le Samourai (1967). We know nothing about him, except he drives; for the movies as a stunt driver and at night as a getaway driver for hire. Maybe there is nothing else to know. During the day he works at a garage run by Shannon (Bryan Cranston) who dreams of competing in stock car races with Driver at the wheel. Irene (Mulligan) awakens something in Driver though, and he begins to spend time with her and her young son. These early scenes are achingly romantic and made up of meaningful stares and sparse dialogue. This mixture of yearning and savagery sums up the movie. Is the Driver a hero or a psychopath? Is he Shane or is he Travis Bickle? The biggest surprise in Drive is comedian Albert Brooks menacing performance as a blade-wielding gangster, performing the same function as the genial but ruthless drug lord Milo in ‘Pusher.’ Refn likes violent protagonists, the most notable exception being Miss Marple (Refn directed a couple of episodes of the TV series), and putting themselves in situations where they must struggle to extricate themselves within a short period of time. There have been churlish complaints about Drive being nothing more than an exercise in style, but these are wide of the mark. The story, based on a novel by James Sallis and adapted by screenwriter Hossein Amini (The Wings of the Dove), may be a cliche, but Refn’s direction, his use of long takes, slow motion, lighting, and music are mesmerising. The style gives the film substance. Drive may also be a pastiche of earlier films, like the game Grand Theft Auto: Vice City it conjures up a world made from movies that has little to do with reality. Yet Refn invests Drive with a poeticism rarely found in action/thrillers and like the best genre films it transcends itself. Not many. There is a blinding Q & A session post-BFI screening hosted by film critic Robbie Collin. Apart from that there is a trailer and a TV spot. Nice menu though.